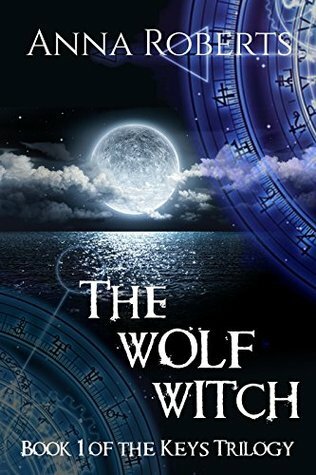 But she never imagined the tourist resort she moved to would have so many surprises and that her simple life would be thrown into some very unexpected turns as she finds herself embroiled with werewolves, magic, spirits and who knows what else. I also really liked the take on werewolves. The actual return to the idea of werewolves as cursed. Werewolves who don’t have super healing and super strength and vitality – werewolves who have to deal with real health issues from the sheer trauma that changing inflicts on them, how that creeps up on them and affects their attitude towards aging and health. That naturally leads to some personal conflicts based on that and on being risk averse. I’m also intrigued by the different paths to Alphadom that are presented – the easygoing, friendly, health alpha on one side and the brutal, vicious Alpha who rules by fear we see so often in the genre – but the book is nuanced enough to present flaws with both which in turn leads to more personal conflicts as people deal with the politics and repercussions of both. On top of that we have our own personal conflicts from other issues – like Blue being a Katrina survivor as well as the child of a parent with a severe mental illness and the repercussions of that and how that builds to her character. But this isn’t a long book and that’s a lot of storylines and a lot of world to develop. So when I say up there that I really want to see x, y, z developed – I mean it. Because every one of these subjects gets a lick and a promise. We’re exposed to spirits and wolf witchiness but don’t get really expanded upon them. Or we get the struggle of the territory falling apart as the swamp wolves begin to rise up or the awkward reunion of werewolf teen and werewolf and… and none of these are resolved. Not one of them are resolved. There is no ending here. None of the world building is truly finished or fleshed out – it’s all beginnings. It almost reads like prologue, this is the book that starts the rest, but I’m not sure if it can really manage as a book in its own right. I’d prefer to see a book that cut out a few storylines and develop the ones that were; allowing the rest to come in future books. Our protagonist, Blue, is a black woman and her race is both mentioned and part of her characterisation without being the overwhelming stereotypical element of her character. She’s interesting, intelligent, careful and interestingly curious of the world she’s been dumped in. She excellently refuses Gabe’s attempt to “chivalrously” keep her out of things or decide she needs to be protected or sheltered. Also she doesn’t feel the need to jump through hoops for a man – like last minute body shaving, he takes her hairy or not at all. There are number of other POC – but also clear indicators of everyone’s race. Many books do tend to identify the race of POC but then leave White people “unraced” as the default. Gabe is also a POC, of Cuban descent, though this doesn’t inform his character to the same extent – his past history explains the disconnect between him and his Cuban ancestry. They do explore his mixed race heritage. We do have other more minor LGBT characters. Grayson is gay – but being gay and old and general assistant is kind of all we know about him. We have a bisexual woman, the mother of said youthful werewolf who is fairly present, but not in a hugely meaningful way. Both of these characters are not inherently bad but, like a lot of this book, there’s no space or development to make them into more. To make Grayson more than the character who follows Charles around while he sorts out the political mess, or Stacey be more than the guy’s mother and Blue’s co-worker. Gloria is an intriguing character with a disability – her dementia is treated as powerful, tragic, yet at the same tome not completely removing her as an active participant in the story – but that’s largely due to woo-woo. But she’s there, a very constant character. We also have references to Blue’s mother with Bipolar. It’s respectful, meaningful, understands she’s a real character; her condition is seen as something that was difficult for Blue, but equally not used to demonise her. Though she is dead and her character is really there for Blue’s own development and history.